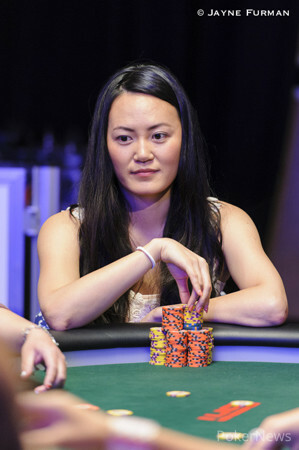 Hand #75: Haixia Zhang opened to 50,000 from the small blind and Mikiyo Aoki called in the big blind. 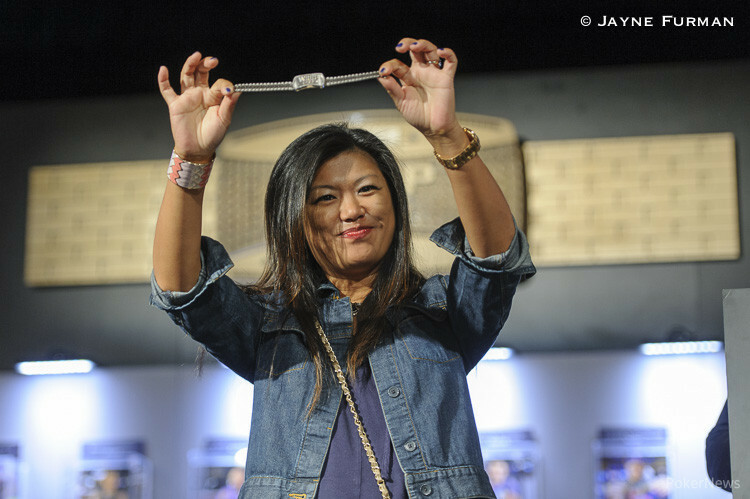 The two ladies seen a flop of , Zhang led out with a bet of 100,000 and took down the pot. Hand #76: Aoki opened wiith a bet of 43,000 from the small blind and Meikat Siu made the call fom the big blind. The dealer issued a flop, aoki led out for 70,000 and Siu called to see the turn, . Aoki led out again, this time for 143,000, Siu raised all in, and Aoki made the call. Siu was drawing dead and as the fell on the river, was eliminated in third place.